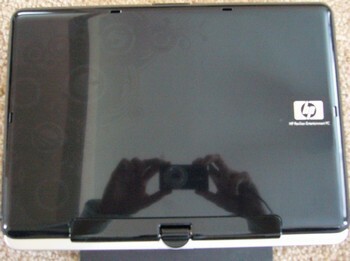 The HP Pavilion tx2050ea is part of the tx2000 series of laptops. 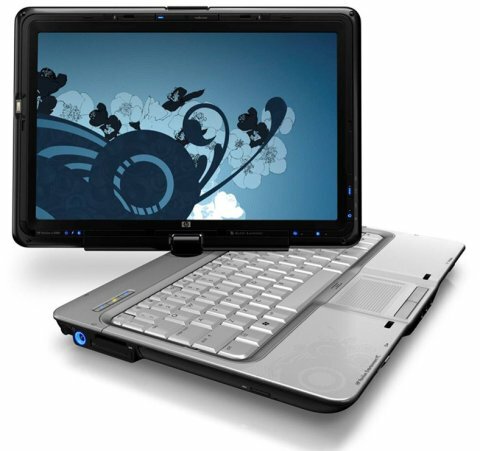 That series follows in the intrepid footsteps of the tx1000 series, which combined all the benefits of a standard laptop with those of a tablet PC. The tx2050ea, available for around £600, uses faster components than its predecessor, the tx1020ea, a new form of touchscreen and a slightly tweaked design. We have to admire the HP Pavilion tx2050ea's flexibility. 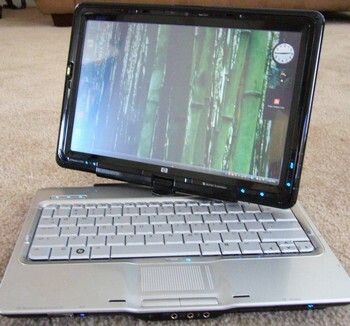 The fact that its screen can be rotated and flipped into tablet mode means its ideal for use in cramped spaces or while standing up. We also love the relatively low price, but the tx2050ea lets itself down due to its bulk, weight and lack of screen quality. 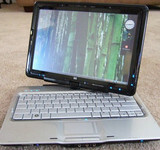 This consumer-focused Tablet PC will look great in any room in the house. The notion of a Tablet PC for home use is something that is still in its infancy, largely due to tablets being seen as business tools and the fact there are very few consumer applications for the Tablet PC. However, the HP Pavilion tx2050ea (£699 inc. VAT) is billed as an 'Entertainment PC', which means it comes with media buttons for accessing your movies and music instead of simply being used for business. Despite a disappointing screen and some performance issues, the Pavilion tx2050ea is a solid and very affordable Tablet PC targeted at regular consumers rather than business users. 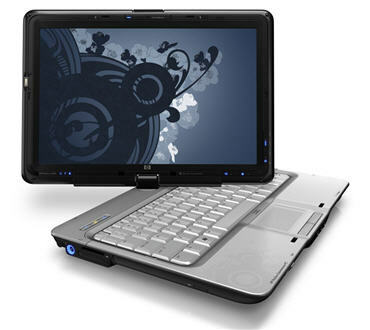 Perfect for working and playing in confined spaces, its convertible screen makes it uniquely flexible, while its design makes it both attractive and easy to use. It won't be for everyone, but those who fall for its charms will appreciate them all the more.